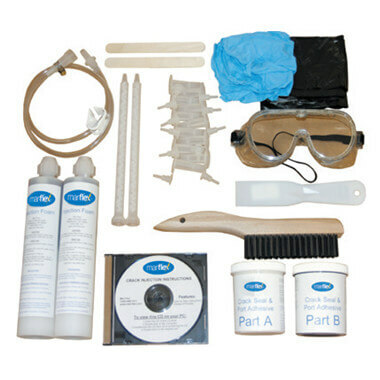 The Single Use Crack Repair kit includes the materials and accessories for low-pressure injection and repair of approximately 8-10 lineal feet. Comes with everything you need including an instructional DVD. The only tool you’ll need is a standard caulking gun.